This DVD, an extension of the book ‘How Your Horse Moves’ is a Unique Guide to Improving Performance. Using many anatomical paintings on live dressage, jumping, western and stunt horses, together with effective use of slow motion photography, it cleverly shows the skeletal and muscular systems in motion. 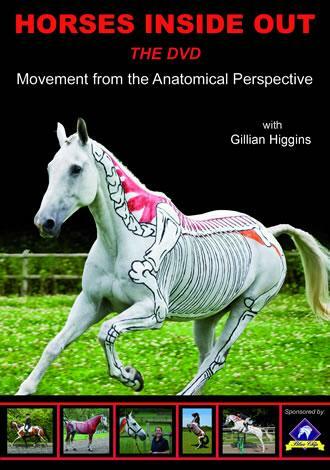 Combining her talent for art with a passion for anatomy and suitable for all riders, trainers, therapists and students, Gillian will give you a clear understanding of biomechanics which has a very positive impact on successful training. For anyone thirsty for knowledge and with the welfare and comfort of their horse in mind, this DVD is not to be missed.